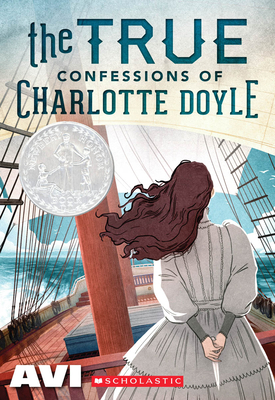 The True Confessions of Charlotte Doyle joins the Scholastic Gold line, which features award-winning and beloved novels. Includes exclusive bonus content! Thirteen-year-old Charlotte Doyle is excited to return home from her school in England to her family in Rhode Island in the summer of 1832. But when the two families she was supposed to travel with mysteriously cancel their trips, Charlotte finds herself the lone passenger on a long sea voyage with a cruel captain and a mutinous crew. Worse yet, soon after stepping aboard the ship, she becomes enmeshed in a conflict between them! What begins as an eagerly anticipated ocean crossing turns into a harrowing journey, where Charlotte gains a villainous enemy... and is put on trial for murder! Avi's work spans nearly every genre and has received nearly every major prize, including the Newbery Medal for Crispin: The Cross of Lead and Newbery Honors for Nothing But the Truth and The True Confessions of Charlotte Doyle. Avi lives in Colorado. You can learn more about him online at avi-writer.com.